Due to the government’s indifference in appointing a new CEO, the NRA has not been able to hold its executive meeting. This has piled up crucial decisions needed to be made immediately with regard to reconstruction. Officials at the NRA fear that the government’s indecision is likely to hamper the task of reconstruction and rehabilitation, which had finally managed to gather pace after three years of the devastating earthquakes. Top officials close to the prime minister said that the government has not been able to decide on a candidate for CEO as there are many aspirants vying for the post. “Some office bearers from within the NRA are lobbying with the ruling party leaders to become CEO while other candidates have been proposed by the leaders. So, it is taking time to appoint a new CEO,” said a close aide to the prime minister. The official also said that the prime minister is also considering appointing former CEO of NRA Sushil Gyewali as the new CEO. 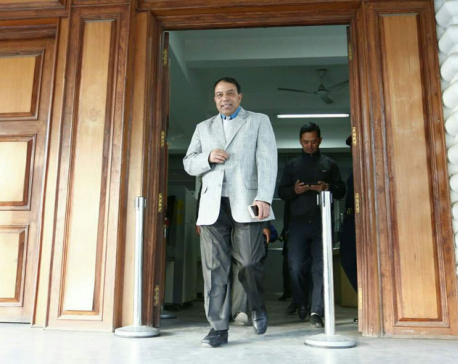 “Since he had done good works during his tenure as the CEO, Gyewali is also being considered as one of the possible candidates,” said the official. Prime Minister KP Oli had appointed Gyewali as NRA chief in December, 2015 during his first stint as prime minister. 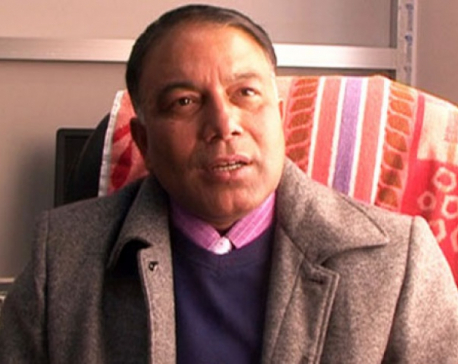 During his tenure as CEO, Gyewali had carried out all the administrative tasks required to kick start the reconstruction but the subsequent coalition government of the Nepali Congress and the then CPN (Maoist Center) led by Pushpa Kamal Dahal sacked Oli’s appointee and picked Govinda Raj Pokharel of Nepali Congress in January, 2017. Gyewali was removed, citing unsatisfactory performance. Of late, two NRA executive committee members--Chandra Bahadur Shrestha and Hari Ram Parajuli– have been lobbying separately with the top leadership of the Nepal Communist Party to have Nepali Congress-appointee Yubaraj Bhusal removed and they themselves be appointed as the CEO. While Shrestha was appointed executive committee member under the CPN-UML quota, Parajuli was appointed by the CPN (Maoist Center). These two candidates had in fact intensified lobbying for the post even before former CEO Yubaraj Bhusal was sacked. On July 5, the government’s abrupt decision to terminate all the appointments made by the erstwhile government led by Sher Bahadur Deuba also led to the termination of the appointment of CEO Bhusal. The NRA has almost become defunct without its CEO as the Act to Provide for Reconstruction of the Earthquake Affected Structures 2072 has it that the CEO shall act whole time as the executive chief of the authority and that no other official can work in his/her place. So far, the NRA has already witnessed three CEOs in the span of less than three years of establishment of the body. KATHMANDU, July 5: Nearly 300 government staffers appointed to various sectors by the then Deuba-led government have lost their jobs.